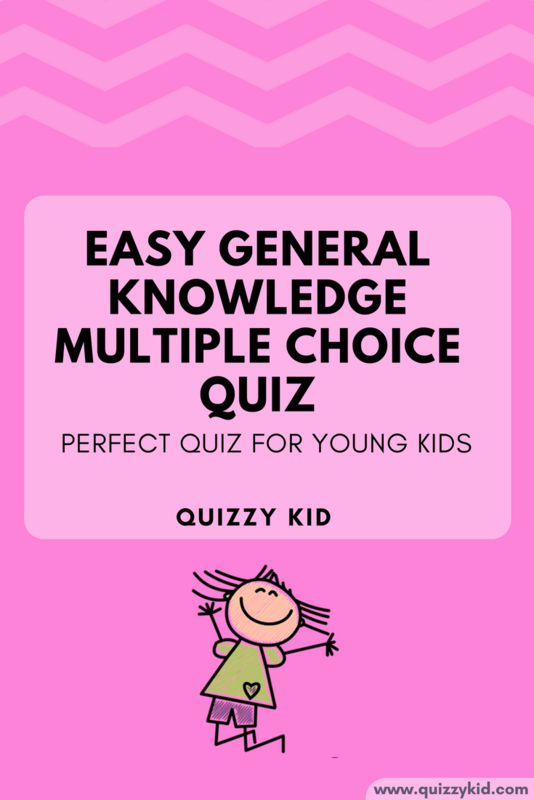 Our simple multiple choice general knowledge quiz is perfect for preschoolers and young kids. 10 easy quiz questions with answers. If you want to try a slightly harder quiz then check out our Easy General Knowledge Quiz. Q1. What orange vegetable do rabbits like to eat? Q2. What number comes after 9? Q3. What language do people speak in Germany? Q4. What color is a banana? Q5. How many sides does a square have? Q6. What animal has a really long neck? Q7. When it's raining what do you need? Q8. What shines at night when the sun has gone? Q9.What sea creature has 8 legs? Q10. What time of day do we have breakfast?